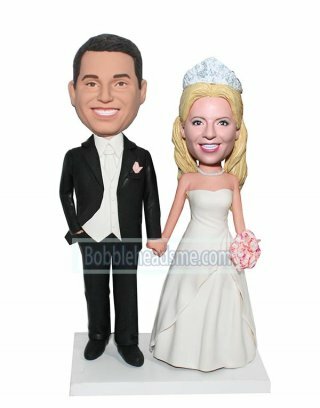 wearing a black suit with a white tie and vest, while the bride holds a bouquet of roses.How beautiful is the day that is touched by love. 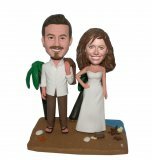 Why not preserve the day to remember with a unique customized wedding gift that is the envy of all your friends. 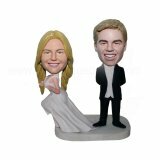 With the awesome likeness, the bobbleheads will surprise all the invitees. 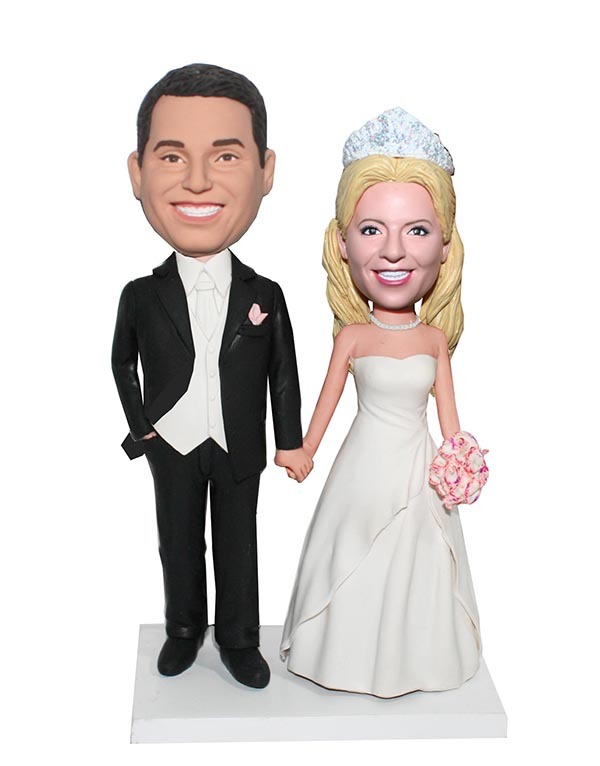 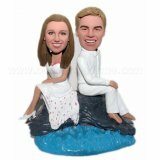 As wedding cake topper is easy to bring meaningful gift to a marriage without spending a fortune.